1. Place the applications installation file on the Desktop. 2. 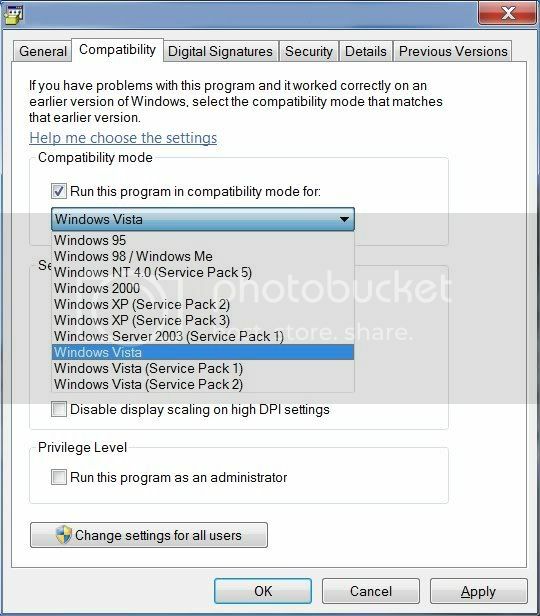 Right Click the applications installation file and select Properties/Compatibility Tab. Select the appropriate options from the list in the following image. 4. Right Click the file and select the Run As Administrator option to install. I also recommend that you contact the maker of that software program and inquire about future support for Windows 7.